2 HYNDMAN , EDWARD FILOMENO Sapper500231/12/1941 17Hong Kong Volunteer Defence CorpsUnited Kingdom5. A. 8.STANLEY MILITARY CEMETERY. 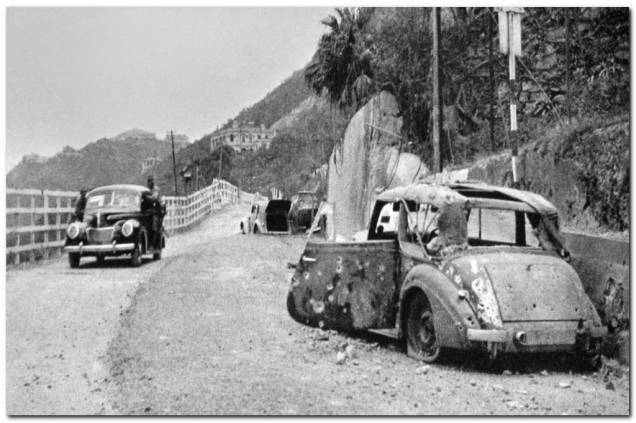 Picture taken on or about 28th December 1941, showing the Staff car in the background with the boot (trunk) open is thought to be the car Eddie was travelling in.